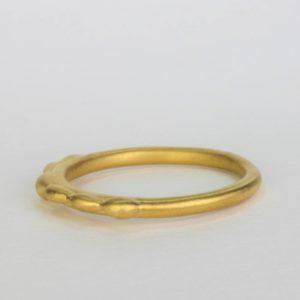 A sophisticated 1/2″ cocktail ring in 14k or 18k yellow gold. 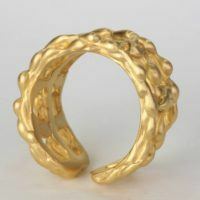 The Living Fully ring is inspired by following your dreams, and living to your fullest potential. 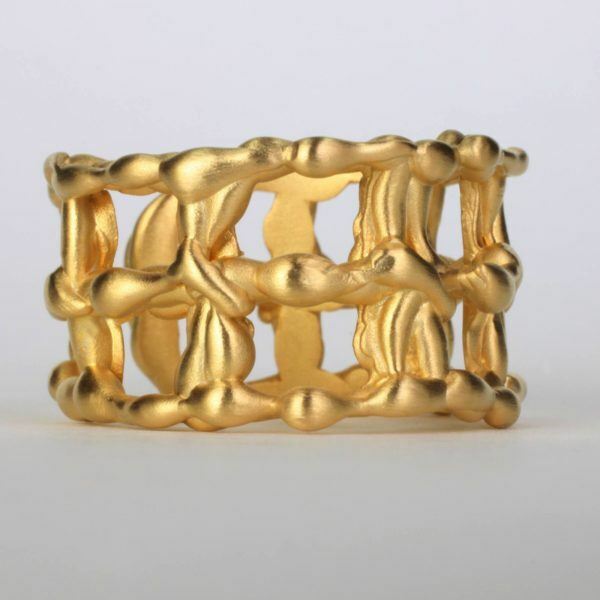 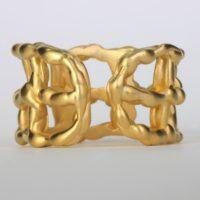 This eye catching 1/2″ wide statement ring is intricately designed with cascading solid gold interwoven between 1/8″ wide squares throughout this ring. 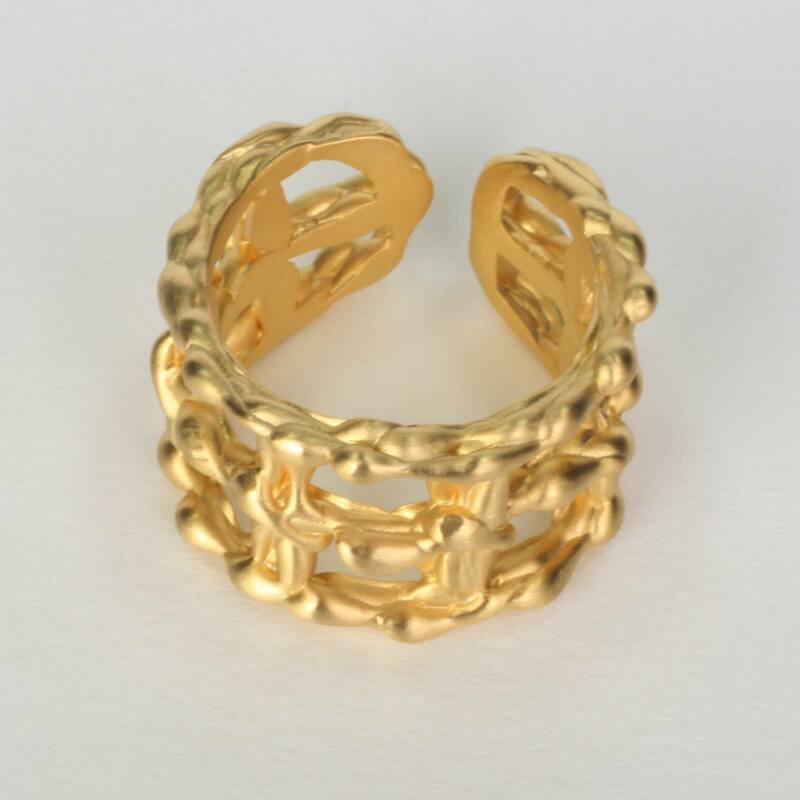 The living fully gold ring is handcrafted with the lost wax jewelry method, and is produced with precious metal. 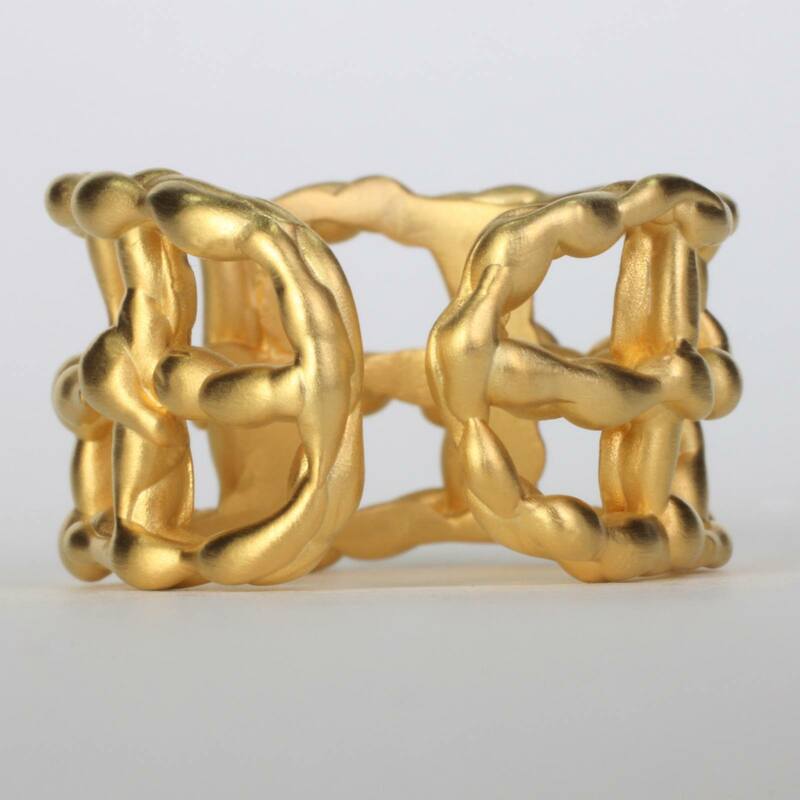 This beautiful gold statement ring is comfortable, unusual and is a perfect jewelry for women of all ages. The gold living fully ring features an original design that is creatively interwoven to create these intricate details to achieve this elegant designer statement ring that is available in 14k or 18k yellow gold. 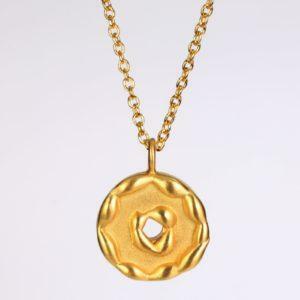 EzzyKaia is a NYC fine jewelry designer who appreciates working closely with her patrons in creating excellent gold jewels with craftsmanship to celebrate special milestones or fine jewelry to wear every day. 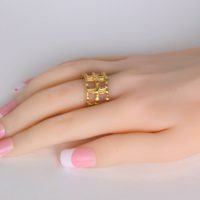 This elegant design also offers a luxurious and versatile style for women who seek extraordinary gold jewelry. 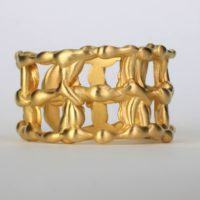 This New York jeweler can also be commissioned to design a custom gold statement ring for your special occasion. 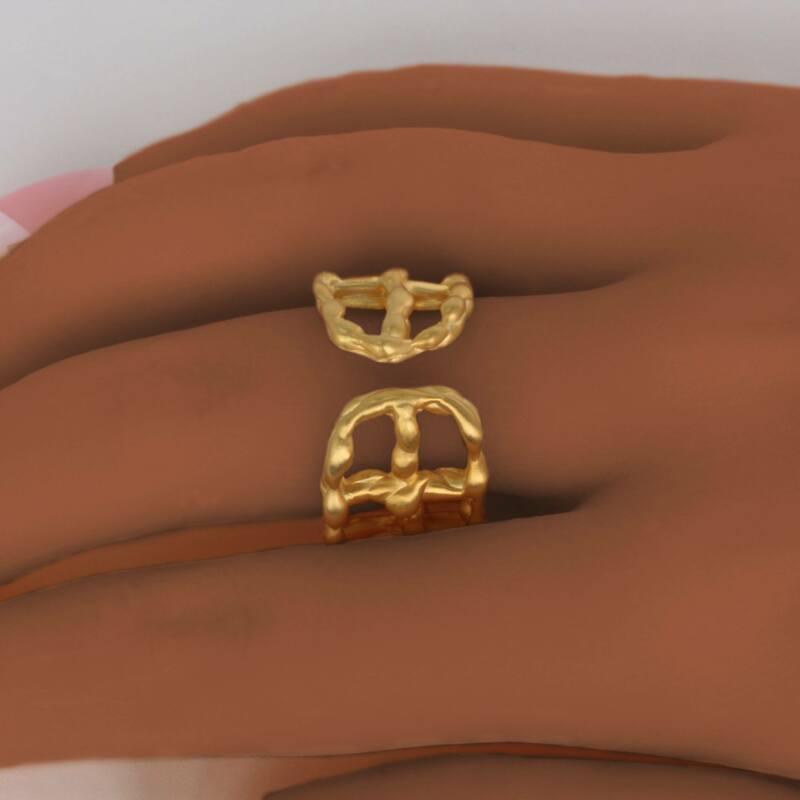 The gold living fully ring is a wonderful gift idea to celebrate the special women in your life with the gift of gold that is made to last the test of time, and to express your love, and appreciation. 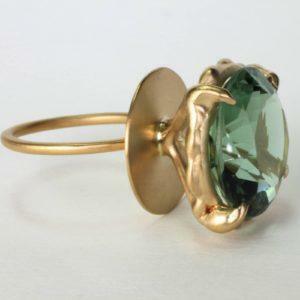 Whether its special birthday, mother’s day, or anniversary, EzzyKaia can offer you her expertise in selecting the best gift idea for her. 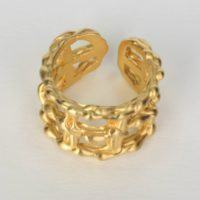 Our gold jewelry collection is stamped with the designer’s logo, and karat amount either in 14k or 18k yellow gold, and our ornate rings are unique, and no two pieces are alike. 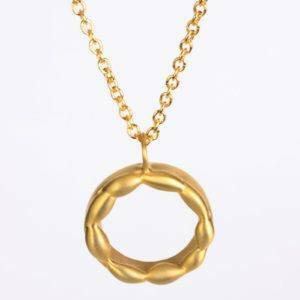 EzzyKaia’s exquisite gold jewelry is available with free shipping within the USA, with FedEx, and gift-wrapping is also available upon request.